Alright cake lovers, it's now officially the Holiday season and we have to get serious up in here. At this moment, I'd like to talk about something very near and dear to my heart. 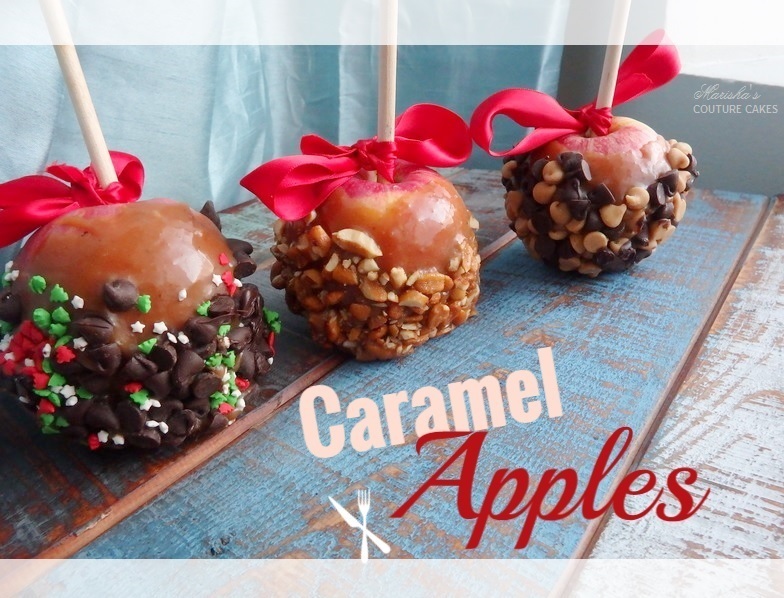 Caramel Apples. I've made it almost tradition. As soon as October comes and caramel apples hit the market shelves, I have to get a pack. They're my go to snack for my Sunday movies, my after dinner dessert, or just when I'm happy...and when I'm sad. When ever I love something this much, I always think "Why not just make it". 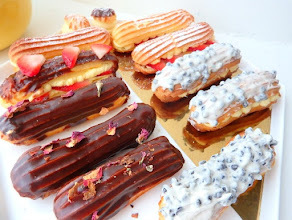 So, a couple of years ago, I attempted Ze Caramelle Appelle (fake french accent). I thought that I was about to LIVE MY ENTIRE LIFE. However, ten minutes after dipping my apples, there was more caramel on the counter than on the apple. At that moment, I knew I messed up...lol. I've known how to make a good caramel sauce for a while now, but the "good caramel sauce" that you make for other desserts my not be good caramel for apple dipping. So, I did my research and went back to the lab aka my test kitchen. I found out two things. 1. I washed my apples but never removed the wax. Skipping this step alone might result in the caramel slippage. 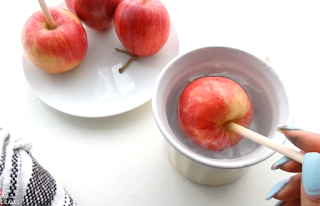 Easily remove the wax by dipping the apples in hot water for a few seconds and rubbing away. 2. I needed a thicker, full proof sauce and I refused to use the caramel candies. Even though that is an option if you prefer to do it that way. You guys know I love you, and this is love. I'm sharing with you a delicious caramel apple recipe that will knock those socks right off. This recipe is for 5 medium large apples. If you're making more, simply double or triple the recipe. 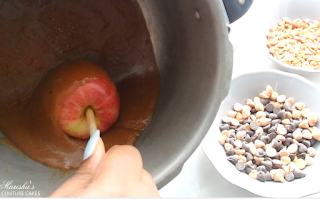 In the video tutorial (below) I made 4 caramel apples and had plenty of caramel left over for candy making. The caramel is soft, buttery and melts in your mouth. My mom is now slightly addicted. This is a perfect holiday gift. So instead of going for cookie making. Make a few apples, wrap them up in a goodie or treat bag and hand them out as homemade gourmet gifts! 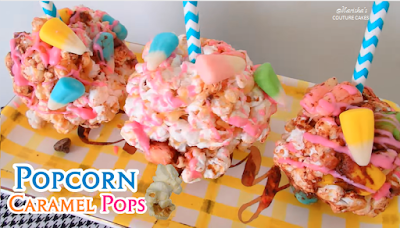 Also, follow my Instructables page for more recipes like this one. Click above to watch tutorial. 1. Add all of the caramel sauce ingredients into a sauce pot and cook on medium low heat. Check the sauce often and make sure to stir constantly to avoid the sauce from burning and sticking. Using a candy thermometer,cook the sauce until it reaches a temperature of 235 degrees OR just cook the sauce for about 30 minutes until it's thick and creamy! 2. While the caramel sauce is cooking, this is a great time to remove the stem of the apples and add your sticks. I used wooden cake dowels that I cut in half. You can also use Popsicle sticks, actual sticks (this looks beautiful and rustic) or perhaps a long lollipop stick. Once that's done, place your apple one by one in the hot water and allow to sit for about 10-15 seconds to melt the outside wax. Using a clean towel, gently rub away that wax. You'll know the wax is gone because the apple won't be as shiny. Without this step, the caramel might slide off. 3. Grab a plate or counter space and lay down some waxed or parchment paper. Apply about a tablespoon of shortening to the waxed paper or a good amount of nonstick spray to prevent the apples from sticking. 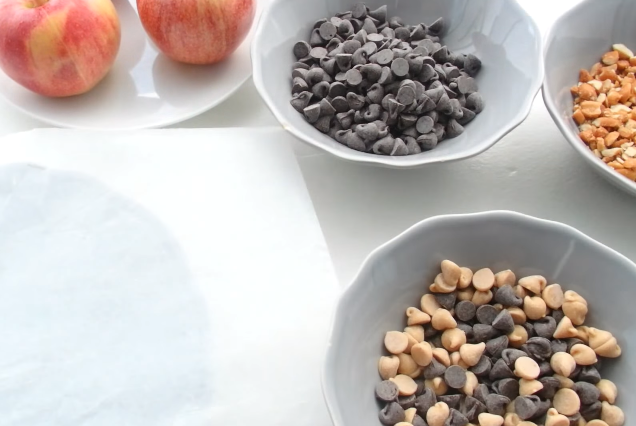 If you haven't done so already, prepare all of your toppings in bowls. 4. This is the best part. 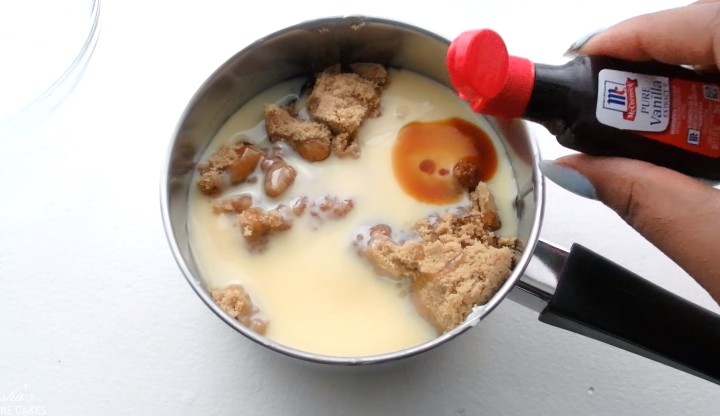 Now that your caramel sauce is ready, remove it from the stove and place with the rest of your setup. 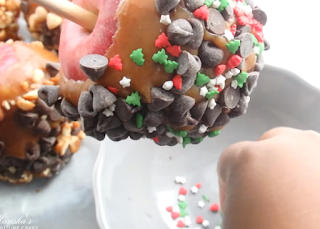 Carefully dip an apple (holding it by the stick) into the caramel sauce and roll the apple to coat the entire surface. Hold the apple over the sauce, allowing some to drip away. 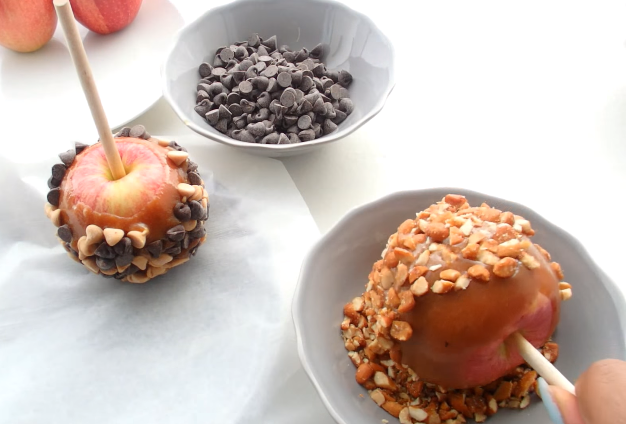 Immediately dip the apple into the toppings of your choice and place on the parchment paper. Do this for all of your apples. Be aware that the caramel sauce will start to stiffen up. Get it back to it's consistency by placing it back on the stove for a couple of minutes while stirring, then continue. 5. 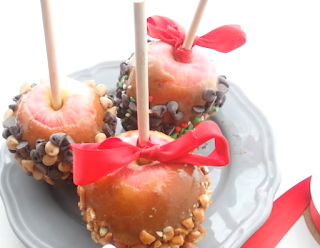 Drizzle your caramel apples with white chocolate, dark chocolate or colorful candy melts. For a Christmas theme, try drizzling red and/or green candy melts onto the apples. 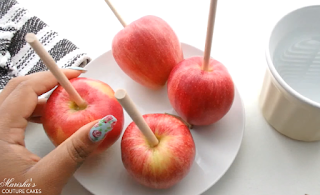 The caramel will stiffen pretty quickly, so if using sprinkle candies apply them with haste or sprinkle into a bowl to dip the apple into. 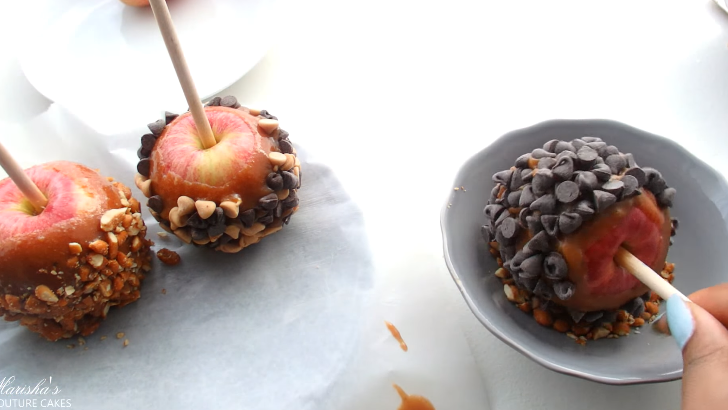 Allow the apples to sit in the fridge for at least 15 minutes to ensure that the caramels holds onto those toppings. 6. Turn these apples into gourmet gifts by tying a silk ribbon around the stick and placing into treat bags. 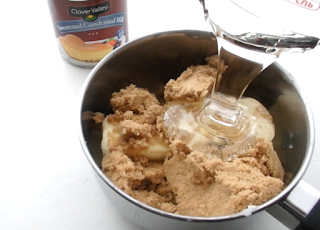 I highly encourage you to recreate this recipe rather than melting caramel candies. The quality of the caramel is to die for.